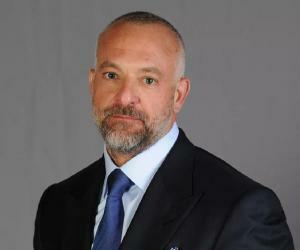 Lorenzo Fertitta is an American entrepreneur, investor, and philanthropist. Check out this biography to know about his childhood, family life, achievements and fun facts about his life. Lorenzo Joseph Fertitta is an American entrepreneur, investor, philanthropist and the former CEO of the Ultimate Fighting Championship (UFC). Lorenzo and his brother took over the family business from their father, Frank Fertitta Jr. and built an empire from the foundations of Fertitta Enterprises. He, along with his brother Frank III, built the Station Casinos and led it to its first IPO, raising $294 million. He also expanded the franchise by building the Palace Station Hotel & Casino and the Red Rock Casino, Resort & Spa. Later Lorenzo and his brother set up Zuffa, LLC to purchase the rights of the Ultimate Fighting Championship (UFC), a mixed martial arts promotion. The brothers ran the business until its sale in 2016 and Lorenzo served in the positions of Chairman and CEO of UFC until its sale. He, along with his brother, also set up the Fertitta Capital, a private investment firm in 2017. Apart from business and investment, Lorenzo has done many humanitarian works in his life. The Fertitta family has made numerous donations towards providing academic and sports facilities for underprivileged youth, both at the local and national level. Lorenzo has also been very active with his brother in various activities benefitting the veterans through their organization’s Fertitta Veterans Program. Lorenzo Joseph Fertitta was born in Las Vegas, Nevada, the United States on January 3, 1969. His father Frank Fertitta Jr. was an entrepreneur who started his life as a dealer and eventually moved up to management positions at the Tropicana, Sahara, and Circus casinos. He was raised along with his brother and went to Bishop Gorman High School, a Catholic prep school in Summerlin, Nevada. 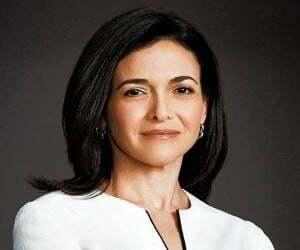 Later in 1991, he earned his bachelor’s degree in Business Administration from the University of San Diego and in 1993 he completed his MBA from the Stern School of Business at New York University. From a young age, Lorenzo Fertitta and his brother Frank were active in their family business, Fertitta Enterprises, working alongside their father Frank Fertitta Jr. Lorenzo served in different executive roles and later became the vice president of the company in 1991. After serving for two years in this position, he took the role of the President and CEO in 1993 and worked with his brother to expand the business. He and his brother also took over the responsibility of running the Station Casinos which Frank Fertitta Jr. used to run until his retirement in 1993. They led the company to its first IPO and raised $294 million; the duo became the principal shareholders and ran it successfully until it was taken private in 2007 in a management-led leveraged buyout. Lorenzo and his brother set up Zuffa, LLC for the purpose of purchasing the assets of Ultimate Fighting Championship (UFC), a widely popular mixed martial arts promotion and live event provider. 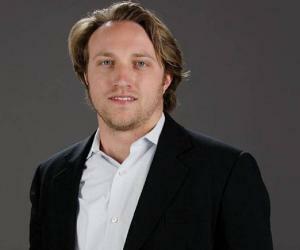 They acquired the assets from the parent company Semaphore Entertainment Group for $2 million. Lorenzo took the roles of Chairman and CEO of the company and brought in childhood friend Dana White as the President of the organization. 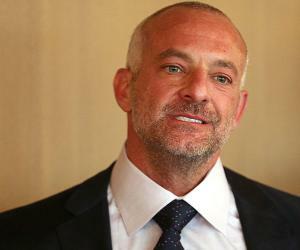 Fertitta brothers declared Station Casino bankrupt in February 2009 and filed for bankruptcy. However, the filling was challenged by a lawsuit. Responding to that lawsuit, in July 2009, Station Casinos filed for ‘Chapter 11’ bankruptcy and with a reinvestment of nearly $240 million, the company formed a new ownership structure which helped the Fertittas retain hold of the company’s full control. Since then, the Station Casino has expanded its property to 21 casinos in three states, including properties like Red Rock Casino, Resort & Spa and Palace Station Hotel & Casino. In April 2016, Red Rock Resorts Inc. raised $531.4 million in its IPO under the ticker symbol ‘RRR.’ Companies like J.P Morgan, BofA Merrill Lynch, and Goldman Sachs & Co served as underwriters for the offering. The Fertittas still own a big part of the company and Lorenzo serves as the Vice Chairman of the company. Lorenzo Fertitta and his brother Frank Fertitta III acquired the Ultimate Fighting Championship (UFC) from its parent company Semaphore Entertainment Group for $2 million. While Lorenzo served as the Chairman and CEO of UFC, he brought in his childhood friend Dana White to run the show as the President of UFC. He worked hard to set up a unified rule for MMA competitions all over the country and now the show operates in all 50 U.S. states and is broadcast in more than 150 countries. His business model took the sport to new heights and he was able to attract more investment and bigger sponsorships from brands like Harley-Davidson, Electronic Arts, Burger King, and Anheuser-Busch. In 2005, UFC signed a deal with Viacom Inc.’s Spike cable channel for broadcasting and it ended in 2011. Later the same year Fox Broadcasting Company signed a deal with UFC for $813 million, buying the television rights for seven years. In 2016, the Fertittas sold the rights to UFC to WME-IMG, an eminent sports and entertainment talent representation firm, for an undisclosed fee. Lorenzo Fertitta is married to Teresa and together they have three children. Apart from building the Fertitta business empire, Fertitta has been very active with various humanitarian works. He has contributed towards the education and sports fields and has raised funds for the betterment of the underprivileged. He has also worked for the veterans and has contributed to various organizations that support the families of veterans who lost their lives or were severely wounded in the line of duty including the ‘Lone Survivor Foundation’, the ‘Fisher House’ and the ‘Intrepid Fallen Heroes Fund’. He was ranked at #388 in Forbes 400 list in 2017. His company Station Casino filed for bankruptcy in 2009 with a rumored $5.7 billion of debt. Lorenzo’s son Nicco Fertitta plays for the University of Notre Dame football team. 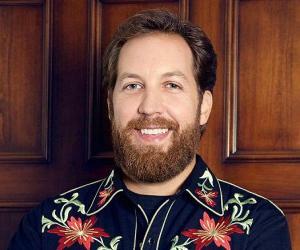 He is the former chairman of Nevada Resort Association and Red Rock Resorts, Inc. He has served as the Board Member of the American Gaming Association and as the Advisory Board Member of Nevada First Bank. He is the Director of Station Casinos LLC and has served as the President and Chief Executive Officer of Gordon Biersch Brewing Company.